Hello and welcome to the Indiana Environmental Health Association website! 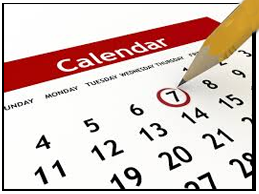 Here you will find events and meetings posted on the calendar, check out the Journal, and read about who we are. Our association represents the public environmental health professionals in Indiana. There are four committees that focus on food protection, terrorism and all-hazards preparedness, wastewater management, and general environmental health. Our membership consists of local, state, and federal governments, academia, and industry. Our mission is to promote, preserve, and protect environmental public health in the State of Indiana, and to encourage a spirit of cooperation among all environmental health stakeholders while serving its members in the regulatory, industry and academic communities. We support our mission by continuing education, networking with stakeholders, sharing information through our website, and staying current with bills that are relevant to environmental health. Follow us on our Facebook handle “IEHAIND” for current articles and postings about our association.